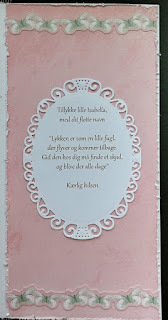 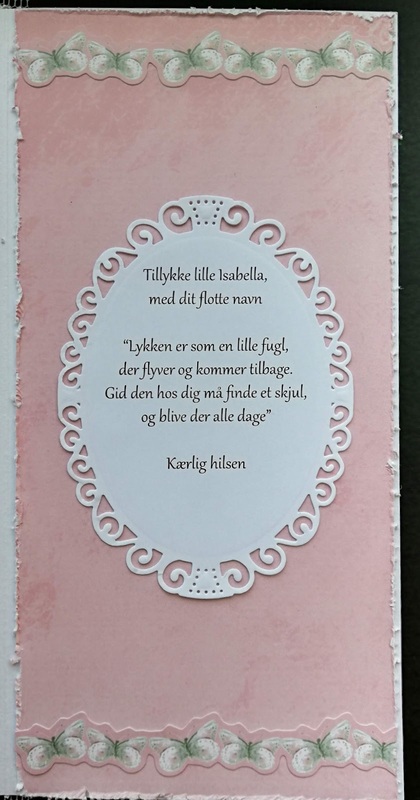 Karen Marie Klip – beige sheet with the word "Konfirmation"
I just love those colors ❤. 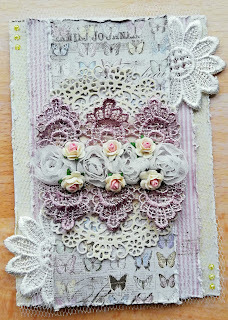 With this card I also participate in Maja Designs mood board challenge for March, which you can read more about HERE. 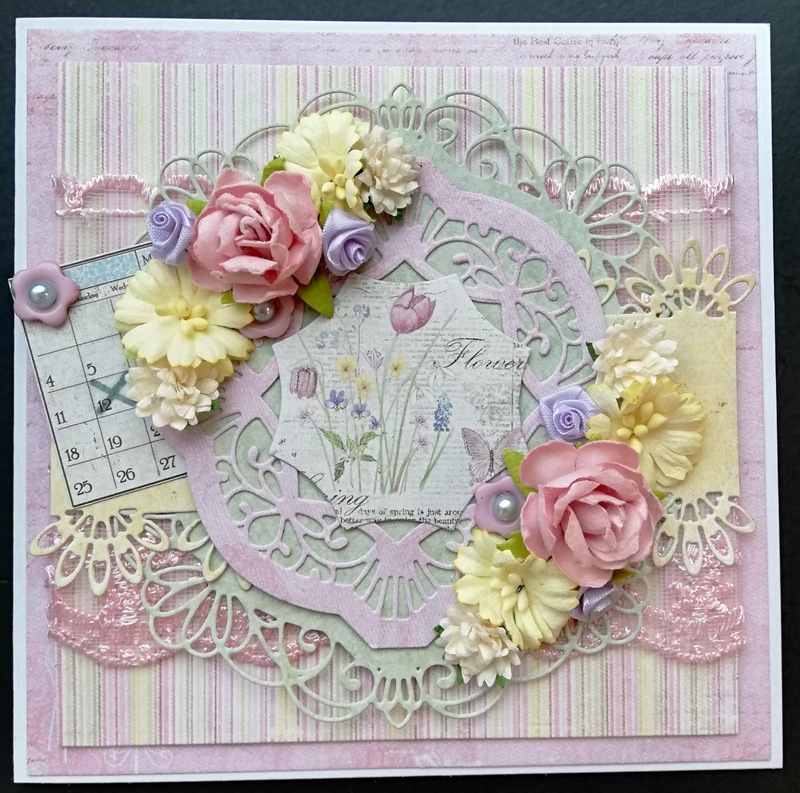 Maja Design: 6x6 paper pads "Coffee in the Arbour" and "Vintage Spring Basics"
A funny detail is the little calender from the paper pads, it fits perfectly with the months this year which is why I drew a cross on the 12th - my sisters birthday. 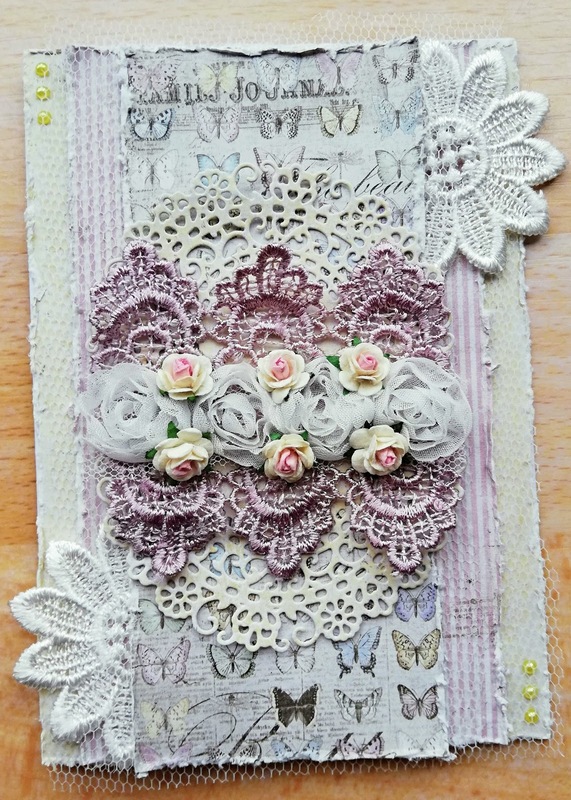 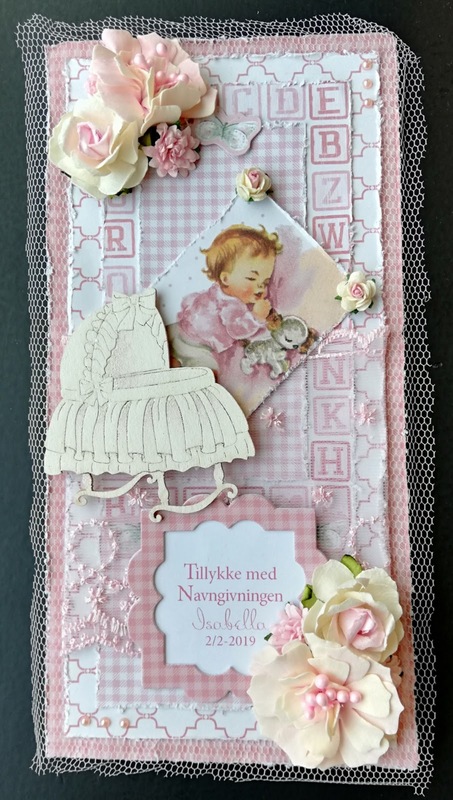 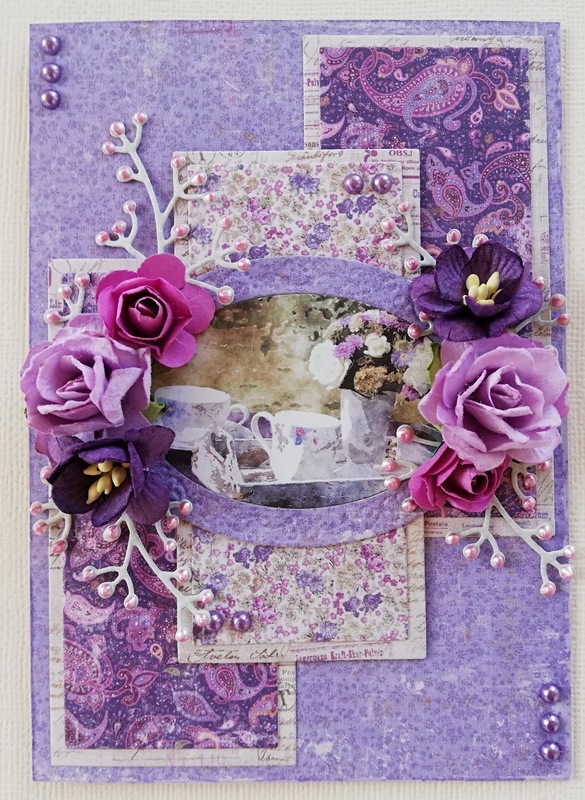 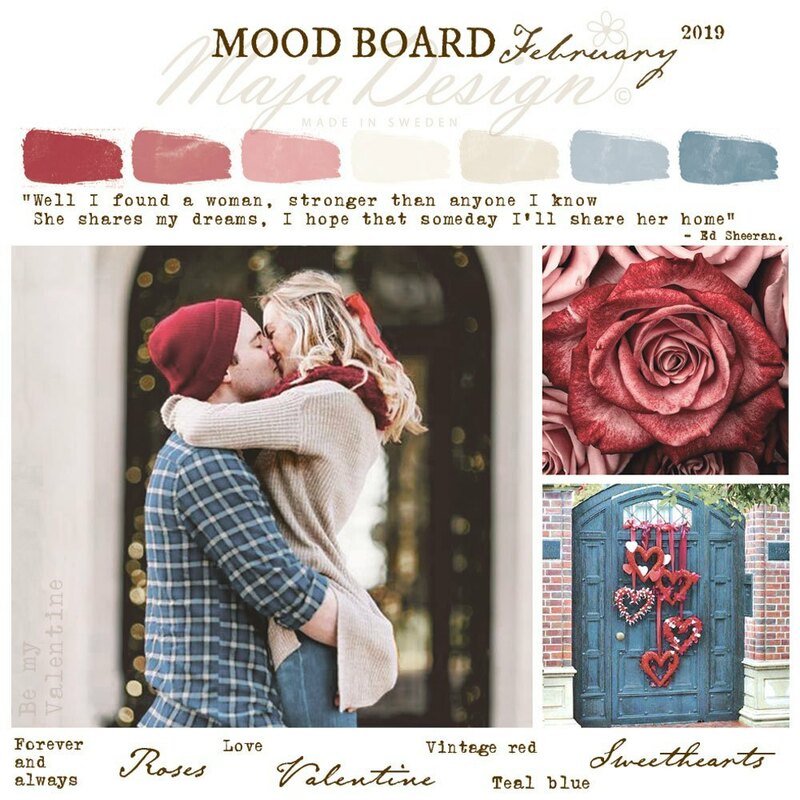 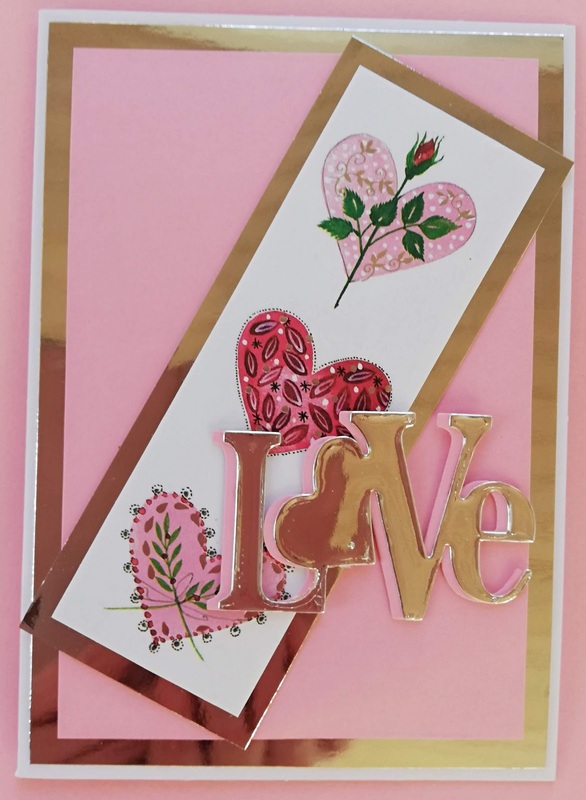 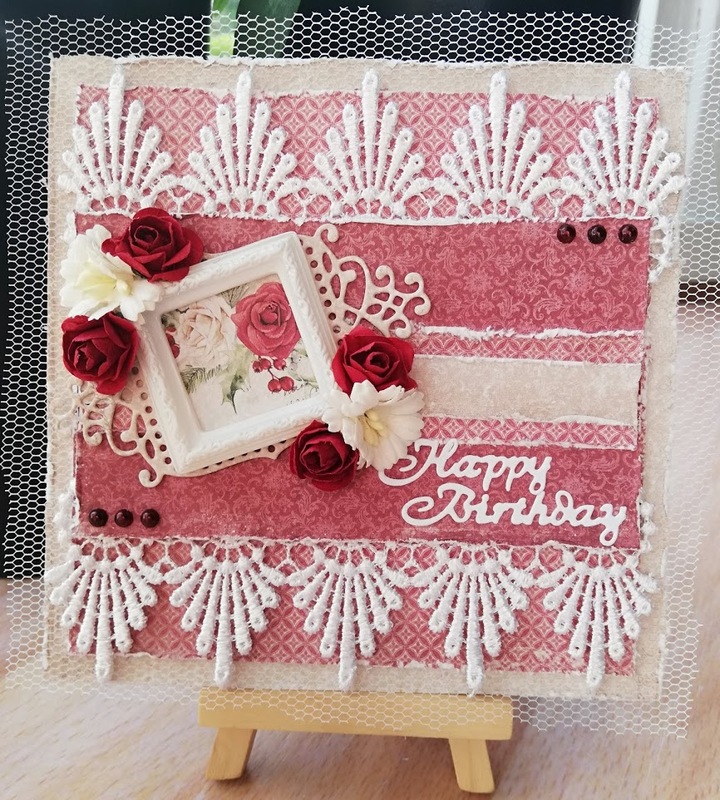 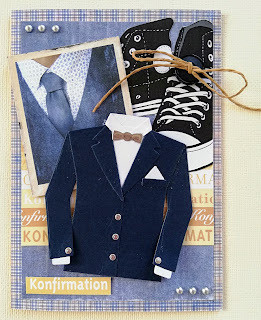 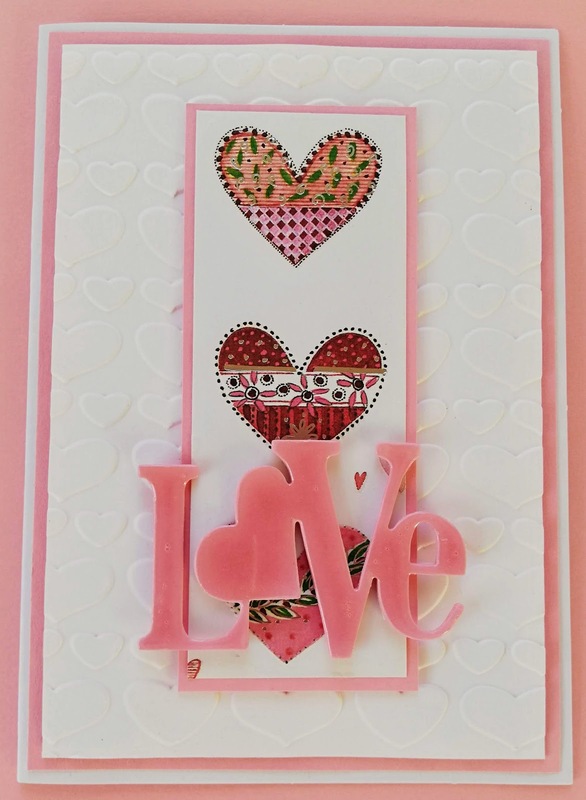 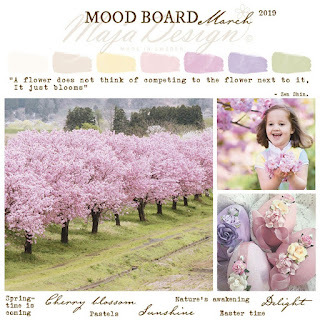 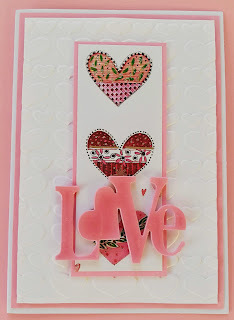 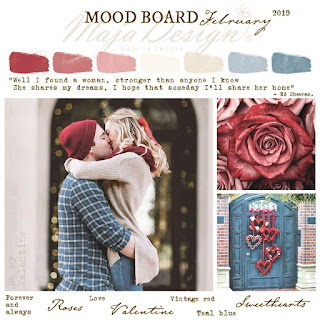 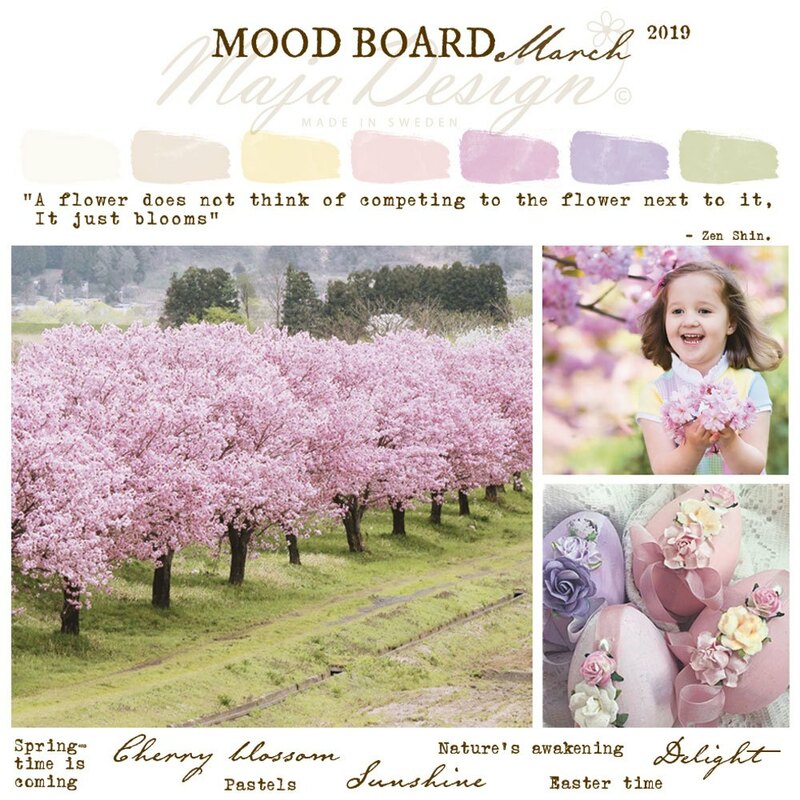 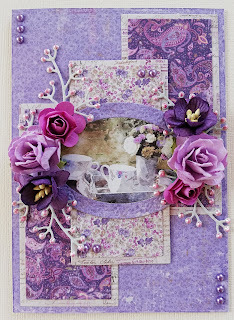 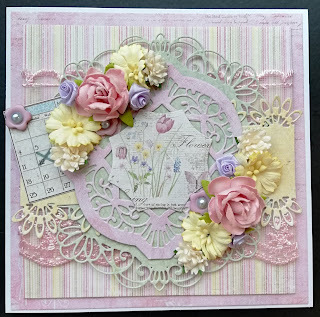 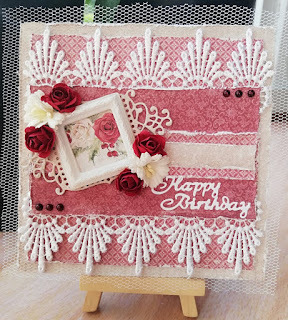 I participate in Maja Designs Mood Board challenge with this card, and you can read more about it HERE. 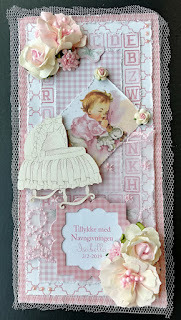 You can read more about Maja Designs challenge HERE.